There's a lot of money still languishing unclaimed in the vaults of National Savings and Investments - not only savings, but also unclaimed premium bond prizes (remember premium bonds? They're still around and active). There was a time when most people used various forms of national savings as the way to salt away money, before everyone had bank accounts. Even now they're a powerful force, just not as big as they once were. The list of different types of savings accounts handled by National Savings gives an indication as to how widespread it once was. However, be aware that most of these no longer exist. That means, if you find a passbook or certificate in the possessions of an elderly or deceased relative, the funds no longer operate, but the money can still be claimed. The complete list is: British Savings Bonds, Capital Bonds, Pensioner's Bonds, Children's Bonus Bonds, Investment Accounts, Deposit Bonds, ISA or Direct ISA, FIRST Option Bonds, Income Bonds, Fixed Rate, Save As You Earn, Savings Bonds, Premium Bonds, Ordinary Account, Yearly Plans and Savings Certificates. Also covered are the Post Office savings accounts and various savings certificates. National Savings makes an account dormant once correspondence to a customer has been returned as undeliverable. This is for security reasons, although it doesn't affect the savings in the account, which continue to accrue interest until claimed. Some people also possess National Savings stamps, another way of saving. These have no passbook of any kind. They can still be redeemed, as they don't expire, but there's no interest, they're simply paid at face value. National Savings and Investments does having a tracing service, which is available through its website (www.nsandi.com). However, a trace takes around three months to complete, and the same service is available from My Lost Account (www.mylostaccount.co.uk), which is also free. For NS&I to run a trace on an account, you'll need to fill out and return their form - it's as simple as that. You will need to know what type of account, and if you're running a trace for someone else, NS&I will need their permission in writing before releasing information (if you're searching on behalf of someone deceased, they'll need a death certificate). If you're hunting for information on unclaimed government stocks, also known as gilts, these are no longer administered by NS&I. You'll need to contact Computershare Investor Services. Unsurprisingly, NS&I receive more requests about old premium bonds than anything else. People find old ones and want to discover if they've won anything, although in the majority of cases they haven't. In most instances NS&I lose track of premium bond holders when the person moves and doesn't inform them of the new address - that means they can't be notified of any winnings. They don't need the same form as other savings in order to be claimed. With the bond itself, or the holder's number or card, you can simply check online to see if the bonds have won on the NS&I site with their premium bond prize checker. Alternatively, just inform them of your new address on the holder's card ands they'll check for winnings. It's worth noting that if someone deceased has won a prize, the prize is only held for 12 months after the date of death. Now read how to check that you don't have any money left in dormant bank accounts. Do You Have an Unclaimed Lottery Win? I know I had a big win on the premium bonds as a child, c 1960. I also know this money was stolen by my parents (deceased).. The bonds have also been sold, illegally. Are records kept of big winners going back this far and how do I obtain proof ? I have three old premium bonds numbers bought in the 1970's. Beginning 5ak,5bk & 5bn, have been told these would have been replaced with up to date numbers but have never been informed of that. How can I trace them? I have a capital bond statement from 1999, can I see how much interest is accrued and claim money back. Thank you. I HAVE FOUND SOME OLD BONDS DATING BACK TO 1976 AND 1992. HOE DO I CHECK IF I HAVE WON PLEASE. i have found some bonds are thay still active. According to NS&I: 'These products are no longer sold. If you have any National Savings Stamps or Gift tokens we can redeem these for you at face value. To do this, send the stamps and tokens to us with details of your name and address. We will send you a warrant for the value. Please address these to: National Savings and Investments, Glasgow - G58 1SB. I have found a old premium bond for the sum of 5 pounds serial number is it valid please. Hello, my parents bought my son a Children's Bonus Bond in 1998. Both my parents are now deceased and my son is nearly 20yrs old. Does he now need to contact you himself to update the value of his bond and I no longer take care of it on his behalf? Thank you. In probate cases lack of communication usually leads to suspicion and resentment, so it is important that you are kept informed of proceedings. If you think your brother may be concealing information, then I advise you seek legal advice. The executor can be called on to explain all actions they take as the representative of the estate. I have found 2 premium bond in my recently deceased grandmothers possessions and am assuming they are invalid no. They were issued in 1970 and beat the serial numbers: 3BZ 945593 (£2) 4DS 919321 (£1) I assume they are worthless but not sure how to check. Thank you for any assistance. I have Premium Savings Bonds and the holders cards date stamped from 69 -79I found them amongst my deceased Mothers belongings September 2015.Some are in her name and some in my Fathers name, he died in 2008.I 'm presuming these are now all invalid which is fine. But I also have some Bonds in my maiden name but the card holder address is correct.Should I just destroy the invalid Bonds, and just change the name on the ones in my maiden name? I would would cehck whether the forms are invalid first before you destroy them, you can do that here. I hope this helps. I have Premium Savings Bonds and the holders cards date stamped from 69 -79 I found them amongst my deceased Mothers belongings September 2015. Some are in her name and some in my Fathers name, he died in 2008. I 'm presuming these are now all invalid which is fine. But I also have some Bonds in my maiden name but the card holder address is correct. Should I just destroy the invalid Bonds, and just change the name on the ones in my maiden name? Premium bonds are essentially a savings account. However, they are a savings account with a difference as in you can put money into it and draw money out when you want. 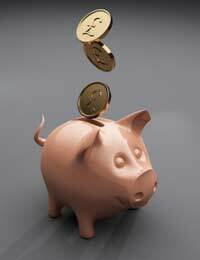 The difference to a normal savings account is that the interest you receive is decided by a monthly prize draw. You can see more via here. I hope this helps. My father died Dec 2018 we are sure he had a private pension but cannot trace anything or even remember his last occupation.